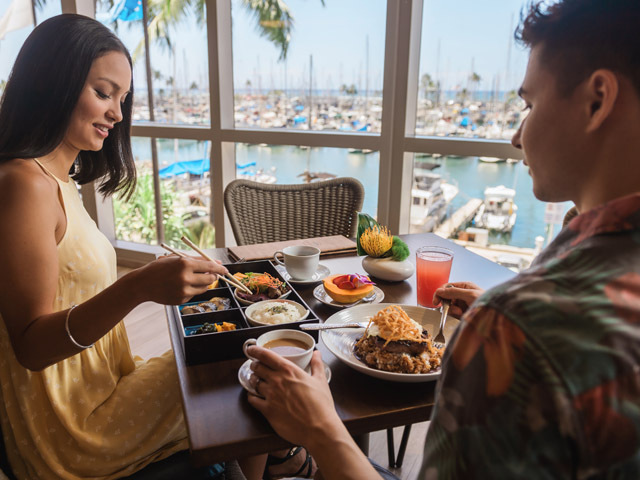 Experience paradise with our oceanfront accommodations, Mid-size Enterprise rental car and daily breakfast buffet for two at 100 Sails Restaurant and Bar. Rates are plus tax, based on single/double occupancy. Rates fluctuate during valid period. Subject to change and availability. Some restrictions and blackout dates may apply. Not valid with any other offers, discounts, promotions or group rates. 3rd person charge is $110+tax per day and includes breakfast for 3rd person. Pricing based on driver being 25 years or older. For drivers under 25, a per day surcharge to be paid direct to the rental car company will apply. Minimum age 21. Valid driver’s license and major credit card required. Car rental is based on a 24-hour period. Car Rental and General Excise Tax on Car Rental are included in the package rate. Rental Surcharges, Insurances, Airport Fees, additional taxes and other extras on own are to be paid directly to Enterprise Rent-A-Car. 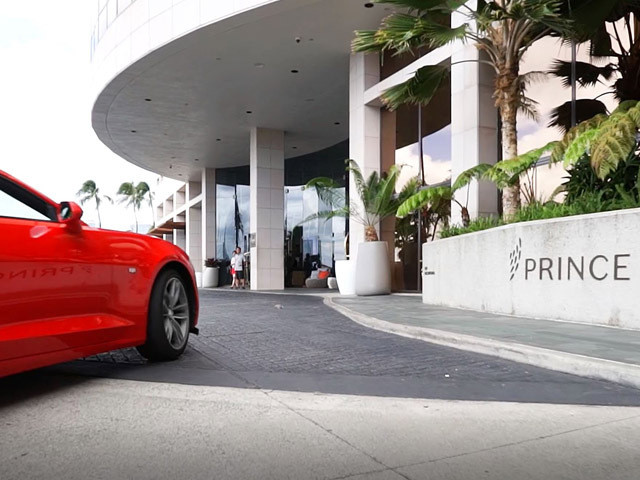 General Policy: Parking - Public self-parking is available on site (reservation is not needed) and costs USD 25 per day and valet parking costs USD 33 per day plus tax. Pets must be supervised at all times. Should a pet be left in the room unattended, the pet must be placed in a kennel by the guest/owner. Housekeeping reserves the right to not enter a guest’s room should a pet be in the room unattended or not placed in a kennel. Guest/Owners must always pick up after their pets. Pets must always be on a leash in public places. 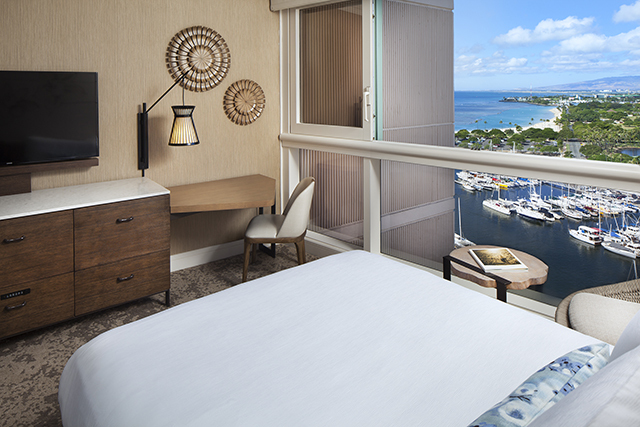 All standard rooms showcase ocean views overlooking Ala Moana Beach Park and Ala Moana Center. Great for families requiring connecting rooms. Shower stall or shower/tub combination. Ocean View rooms offer 1 King bed or 2 Queen beds. Wonderful accommodations, lower ocean front views overlooking yachts and ocean. Perfect for the active and adventurous traveler. Ocean Front Harbor rooms offer 1 King bed or 2 Queen beds. 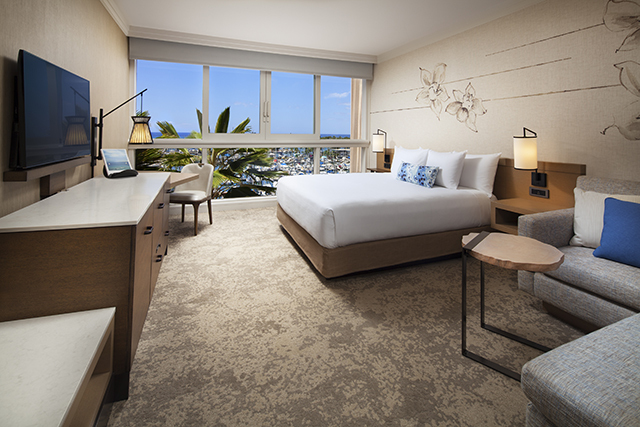 Our finest rooms on higher floors with expansive views of the Pacific, surfing and sunsets. Refined accommodations for the romantic traveler. It’s all about the view! Ocean Front Premier rooms offer 1 King bed or 2 Queen beds. The top floors command the best views! Appreciate unobstructed vistas of the ocean, surf and sunsets. 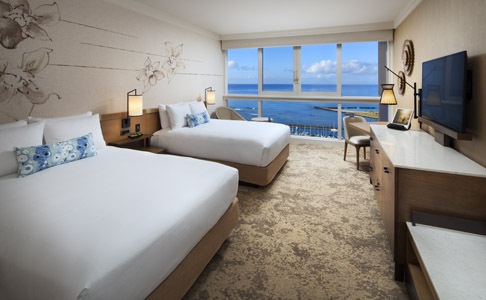 These spacious guest rooms offer a place to call your own with unique amenities and exclusive daily access to the Prince Waikiki Club Lounge. Open daily from 6 a.m. - 9 p.m. 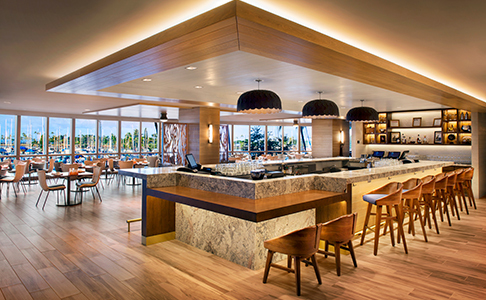 The exclusive Club Lounge provides inspiring ocean views with indoor and outdoor seating. 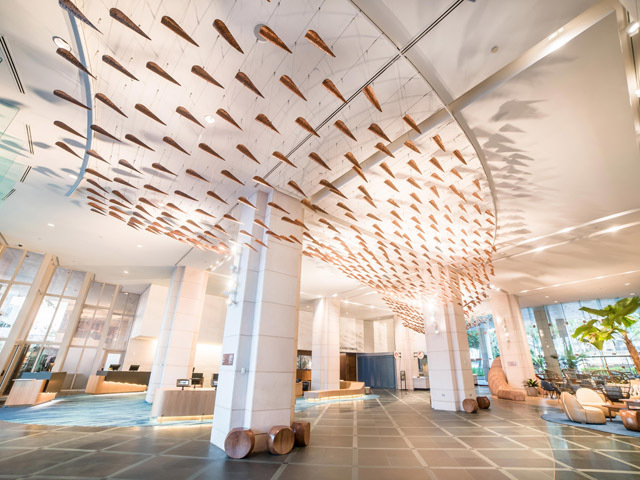 The lounge provides a great place to relax, enjoy complimentary morning breakfast, afternoon snacks, evening hors d’oeuvres, beverages, exclusive check-in/checkout and personal concierge services. 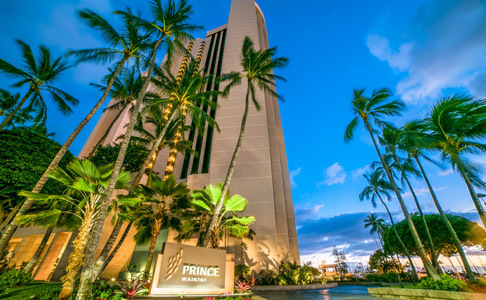 Prince Waikiki Club Floor rooms offer 1 King bed or 2 Queen beds. One bedroom suite featuring two full bathrooms with master bedroom and parlor. 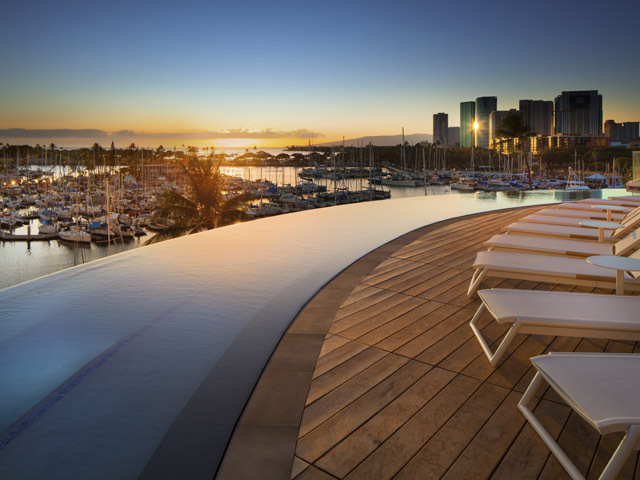 Beautiful views facing Ala Moana Beach Park, Kaka‘ako and downtown Honolulu lending to spectacular coastline ocean views. Ocean View Suites offer 1 King bed or 2 Queen beds. Ocean Front One Bedroom Suite. 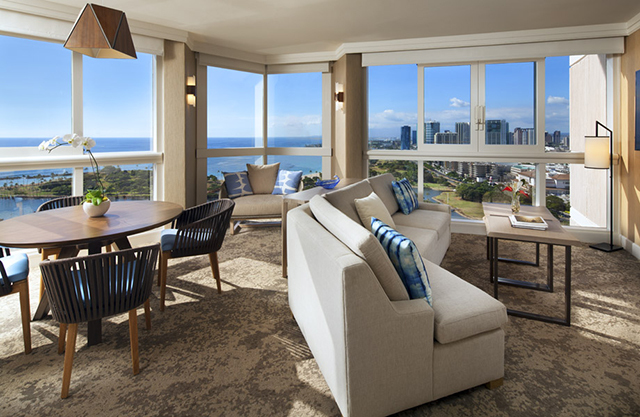 Spacious Ocean Front Suites offer an escape from the hustle and bustle of Waikiki. Relax in your private sanctuary surrounded by inspiring views of the ocean extending from Waikiki Beach to the yacht harbor and beyond. The living room provides a dining table, large sofa and loveseat offering a gathering place while your adjacent sleeping room and spacious bathroom provides rest and rejuvenation. Ocean Front One Bedroom suites offer 1 King bed or 2 Queen beds. 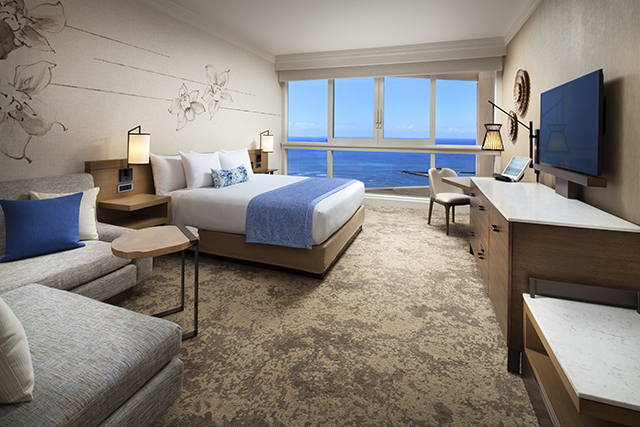 Spacious Ocean Front Suites offer an escape from the hustle and bustle of Waikiki. Relax in your private sanctuary surrounded by inspiring views of the ocean extending from Waikiki Beach to the yacht harbor and beyond. The living room provides a dining table, large sofa and loveseat offering a gathering place while your adjacent sleeping rooms and spacious bathrooms provides rest and rejuvenation. 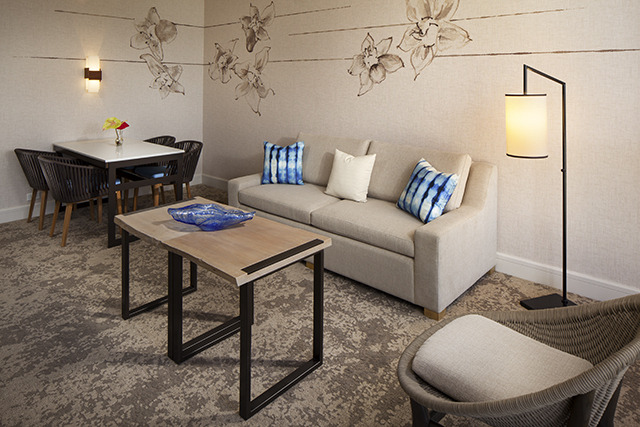 The signature Lanai Suites are the only accommodations featuring a spacious balcony with outdoor cabana/sofa. 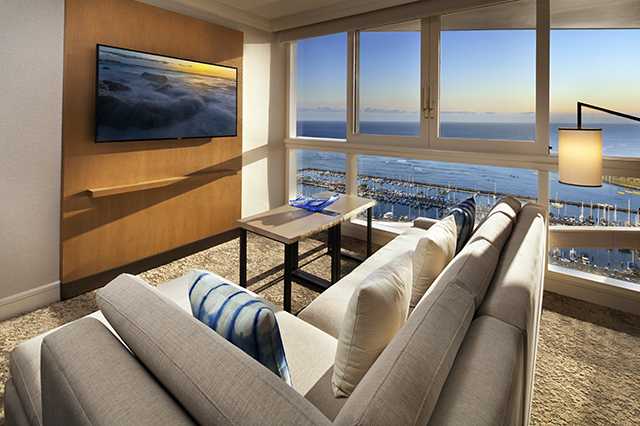 Relax in your private sanctuary with breathtaking views of the ocean and seascape. The sitting room provides a dining table and large sofa offering a comfortable place to gather while your adjacent sleeping room and spacious bathroom provide a place of rest and rejuvenation.